This page begins with two books by myself, then lists a small number of further books with a brief comment. This is my first book directly in the area of the blog. It presents the role of science in a theistic outlook on the world. 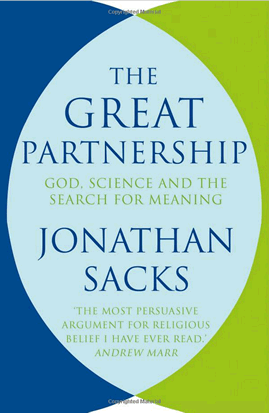 It is told from the point of view of a reasonably broad engagement with theism, and aims to show what science is and is not, and how it takes its place in a wider framework. It is hoped that the book will promote a better public understanding of science, and also an understanding of human life that recognizes the integrity of high-level concepts such as love and forgiveness, no matter what may be the reader’s religious commitments. The book introduces the phrase the eager gene. I gave an invited comment on this at The Page 99 Test (blog by Marshal Zeringue), entry dated Monday October 6, 2014. This is physics pure and simple. Or not so simple. It is an introduction to relativity (the theory of space and time), aimed at a bright high-school student (aged 17+) or a general science reader. There is a modest amount of mathematics, at a level typically studied in school to age 16 (called GCSE in the United Kingdom). The book makes extensive use of diagrams to convey the ideas. Its aim is that the reader understands the subject properly, rather than only getting a flavour or impression of it. It would be a very good pre-university read, or a chance for people in other walks of life to connect more fully to an area of modern science. This book by Denis Alexander presents an informed view of the science of biological evolution and genetics, coming from a Christian perspective committed to a view of the Bible which treats it as authoritative while acknowledging its variety of literary genres. I found the book especially helpful in the area currently called “intelligent design” (ID), where it provides a careful critique. Dr Alexander does not dismiss the ID ideas out of hand, but gives a reasoned case that the evidence is against them. He also recognizes the theological weakness of a position which is in danger of treating God as a filler-in of gaps in human understanding, rather than a provider of all understanding. I think Alexander may have coined the term “evolutionary creation”. See also creation and evolution at bethinking. 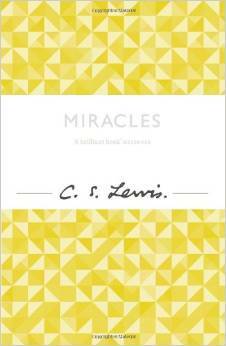 This is a discussion of the case for, and meaning of, miracles, by C. S. Lewis, the Christian scholar renowned for the clarity of his expression and the thought behind it. Now a classic, first published in 1947 and subsequently revised in 1960, this is one of Lewis’ more weighty works. I think it remains a tremendously important and helpful contribution. A modern theologian would, I think, want to modify the way Lewis treats myth in general, and a philosopher will feel that while Lewis makes a good case, there are plenty of ways in which it can be questioned. Nevertheless, there is much to chew on here, and I recommend it. This is a truly wonderful book. I cannot recommend it highly enough. 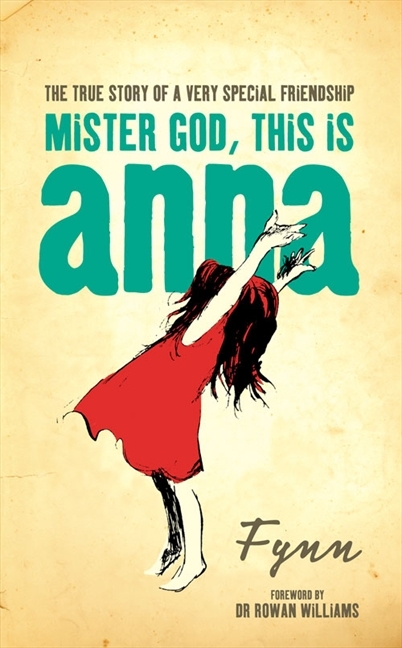 It is essentially the story of a friendship between a thoughtful young man and an extraordinary girl, aged four at the start of their friendship, who has either run away or been abandoned in London. It is biography, science and theology in harmony; it is human relationships, open-hearted exploration, science and maths and language and God mulled over and lived. It is also very accessible and easy to read. This is very good on framing “Science/religion” questions in a useful way. McLeish is fluent and passionate about recognizing science as part of a wider search for wisdom in all of our interactions with each other and the rest of the natural world. He has some wonderful ways of bringing alive the link between our modern questions and the ones being asked in the ancient Hebrew community, recorded by them in a form of writing at the boundary between poetry and science. He also helps by inviting us to see and question modern narratives about how science fits into the life of a whole human being, and look for better ones. 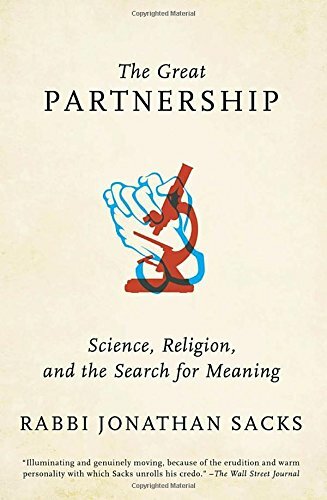 This book by Rabbi Lord Jonathan Sacks presents a wide-ranging and well-informed assessment of science and religion working together in partnership. I found it extremely helpful, because it is intellectually serious while remaining accessible, and it covers territory such as politics and history better than I could do. Sacks includes his reservations about the Christian movement, and I think any decent person willing to be called Christian ought to share many of those reservations. Ultimately I think the problems with Christian commitment do not run right to the heart of if, when it is rightly understood, but I respect the sort of informed critique you can find here. In any case this book is a valuable and generous contribution to seeing science and religion correctly.